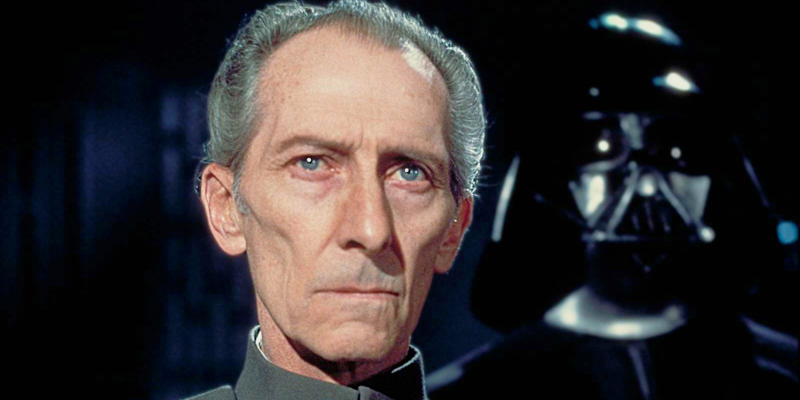 Governor Wilhuff ‘Grand Moff’ Tarkin, played by Peter Cushing in the Star Wars-movies, has been called one of the most formidable villains in Star Wars history. That is quite the compliment. Unfortunately, Peter Cushing passed away in 1994, so any new Star Wars movies would not be able to feature this character. Or would they? Of course they would. Enter CGI! Grand Moff Tarkin is back, talking and everything. Alright, I will admit it; when I was watching Rogue One a few months ago, I did not immediately notice that Tarkin was a fake. I was puzzled, though. That was one hell of a replacement. I could have sworn it was the same actor… A few seconds of scrutiny revealed the truth however: this was a CGI-version of Grand Moff Tarkin. Between the fake-as-heck zombies in I am Legend and the cringeworthy Scorpionking in The Mummy 2, this was a pretty decent one at that. Apparently they made a cast of Cushing’s face back in the eighties and they used it, decades later, to work their magic. Actor Guy Henry did a great job as well, bringing the character back to life, almost literally. It’s amazing what CGI can do nowadays. Let’s take a look at how they did it. It’s easy to confuse what is with what ought to be, especially when what... Be careful not to choke on your aspirations… director.